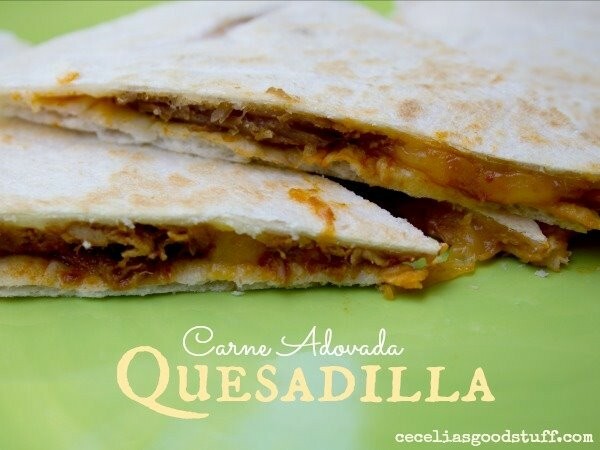 On a flat pan or stove top grill, lay your flour tortilla down sprinkle with cheese and then add the Carne Adovada. Spread it around so there will be a little meat in every bit. Then sprinkle again with cheese and cover with second tortilla. Grill for about 2 – 3 minutes or until the tortilla has crisped up, flip and repeat on side two. Remove from grill and allow to set for 1- 2 minutes. Cut with a pizza cutter to desired slices. For larger tortillas – I recommend about 8 – 10 and for smaller for tortillas about 6 pieces is perfect. 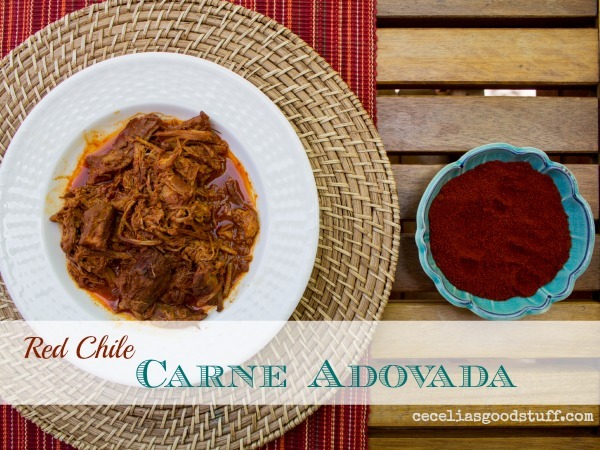 You can serve with salsa and sour cream or simple eat it as is, personally that is my favorite way!